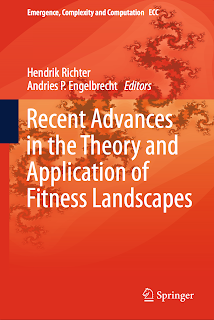 Both chapters are about fitness landscapes. The first one explains that fitness landscapes is the third "parameter" that is needed to make predictions in evolution. The first two are the population size and the mutation rate. If all the known effects of mutations are known (which implies the fitness landscape), then it is possible to statistically say which direction an evolving population will go and where it will end up. 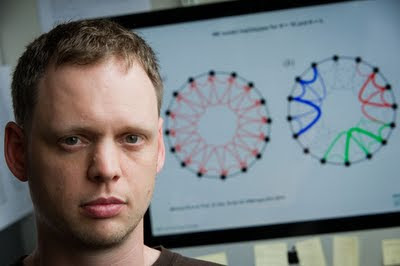 Stochasticity is still important, but one can still make sensible predictions.